That Google is pretty powerful we already know, and that their Android operating System is used widely we also know, but just how dominant they have become is beginning to exercise concern as some of the major countries like USA and Europa take up the question of competition and misuse of dominant position. In 2005, just 10 years ago, Google bought the mobile operating system we know as Android, and since then there is today 1.4 billion active users, and 4 out of 5 of the new smartphones produced by a host of manufacturers come with Android as their operating system. In addition tablets and the newer television flatscreen sets from makers like Phillips and Sony likewise sport Android operating systems. That makes Google’s Android share of the market around 83% of the smartphones and 66% of tablet-PCs on a worldwide basis. Google make their money from advertising revenue and as internet traffic gradually moves from PCs to mobile and tablet use the Android system is at the heart of Google’s plans to get even deeper knowledge of you and every other user of their system. Recently Apple’s inclusion of Ad-blocker software on their mobile devices has created significant anxiety for Google, and although readily available for PCs, up to now the ads on the mobiles has been the big earner and source of information for Google. Google has been accused of using Android to further their own services and securing those through prominent placements on tablets and mobiles, to the extent that both EU and USA are investigating. Microsoft on the other hand has decided to discontinue the legal battles with Google that has raged over technology patents misuses seemingly forever between them, presently 20 such cases will be put to rest according to Bloomberg news, though no details are known.These battles have been going on for the past 5 years and must be the lawyers delight, but now some cooperation over several areas is agreed. One of these is a new technology for compressing movies to get faster delivery from the internet. Also Amazon and Netflix with their streaming services are involved. 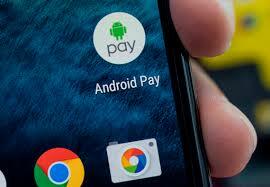 Google’s latest application is ‘Android Pay’ yet another pay system for your smartphone. It can be installed if your phone has an NFC chip built in and runs Android 4.4 or later versions of the operating system. 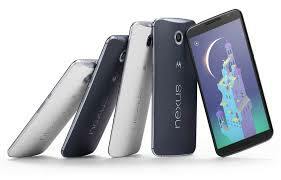 With just a single press of the phone, payment for your purchase is effected, no need to get your card or purse out. This then is their competitor to Apple Pay that Apple introduced in the States back one year ago, and these payment systems are expected to be worth a billion US dollars come 2017. 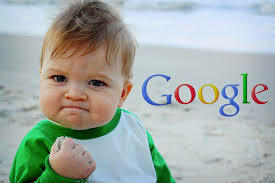 This new payment system by Google replaces their earlier effort called Google Wallet which will disappear. Meanwhile Google will bring out two new Nexus 5P and NX phones in the coming months made by Huawei [5P] and LG [NX] both with Android 6 [a.k.a. 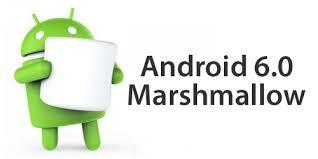 Marshmallow] operating system. They are also bringing out their first own produced tablet, the Pixel C with 32 gigabyte memory. Naturally none of these will have Ad blocking software built in. So the battles between the giants continue for maximum market dominance and through that for your wallet as well. You have never had it so good. This entry was posted in Tech-Trends and tagged Android, Apple, Google, Huawei, Kapiti SeniorNet, LG, Microsoft, Nexus, Pixel C by Thor. Bookmark the permalink.